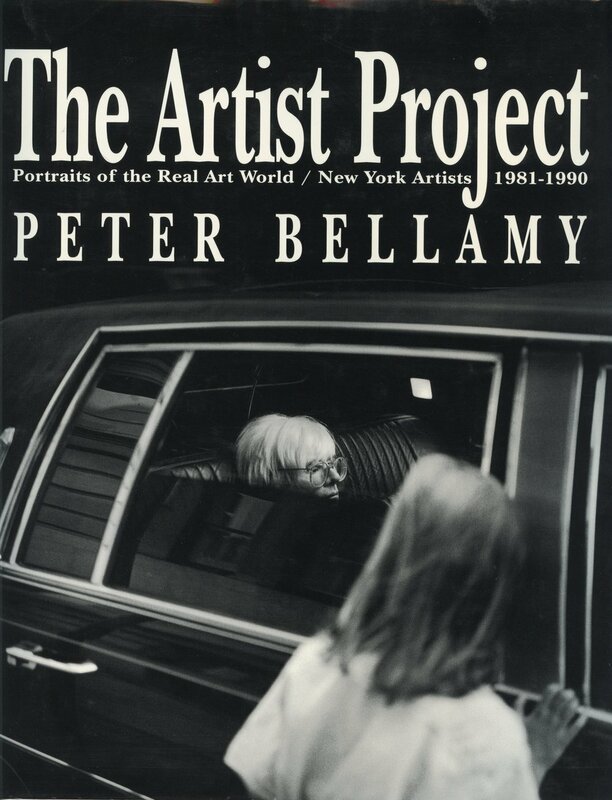 I was honored to be part of Peter Bellamy’s photojournalistic compilation of artist portraits that included artist like Jenny Holtzer, Kiki Smith, and many more famous, infamous and dedicated artists. 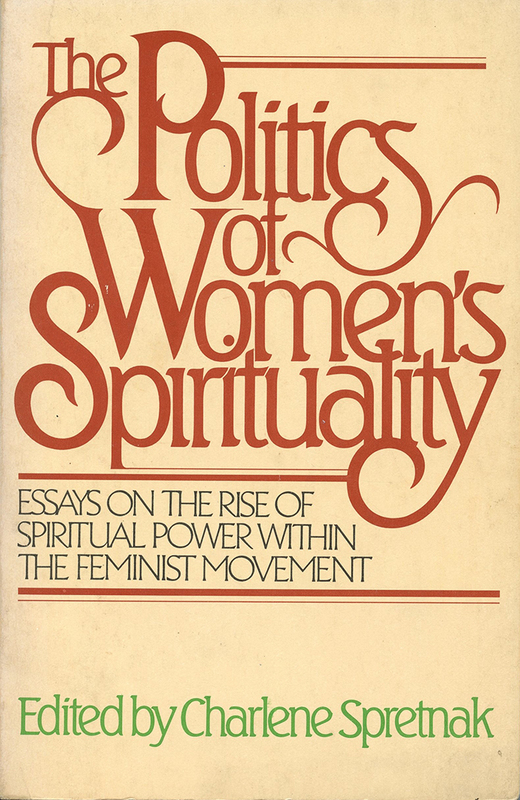 Mary Beth Edelson wrote an essay for this book that included a section called CHANGING RITUALS BY ARTISTS… It included rituals by Donna Henes, Faith Wilding, Carolee Schneeman and more. 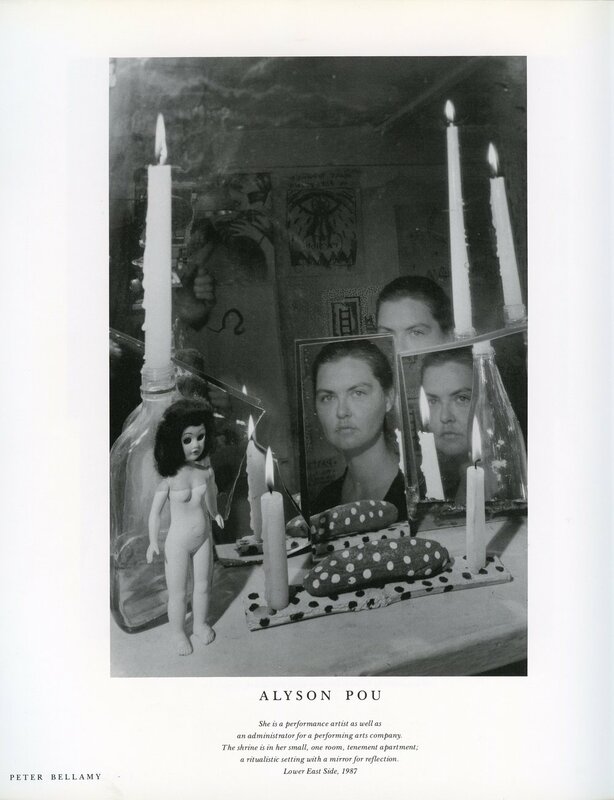 “The unique and sometimes zany way in which some women think is given full reign in our art/rituals, where we have the opportunity to recreate the world in our image. Artists bring the creative process to ritual. This process adds to its content, stimulates ritual’s evolution, and helps to avoid repetitious stagnation. The following works are ever-changing and evolving ritual performances by visual artists. Personal Maintenance/Preserved Flowers; April 1978: A performance in which I sat in a chair for several hours without moving. The chair was at the end of a corridor facing a film image. The film was of me sitting on a toilet, legs spread apart with close-up shots from above of my hands as I pried long red fake fingernails off of each finger with a pair of scissors. The fingernails fell between my legs into the toilet. The film was projected above a bank of live flowers which I had picked and dipped in was. The performance took place at the opening of a large group show. Because of my stillness, silence, and lack of activity, most viewers chose to see and refer to me as an object. Many indulged in comments and insults which were directed at me as a passive receiver. This would never happen had I assumed an obviously aggressivedemeanor. As I sat watching the film, being aware of the crowd, I focused on the audience as individuals, hoping my silence would contribute to their own self-awareness in the situation. I thought about the helpless discomfort of an unwillingly passive role and how that produces frustration, acts of self-destruction, and violence in women’s lives. I concentrated on understanding vulnerability as a place from which knowledge and strength can grow. I concentrated on transforming the victim’s position.